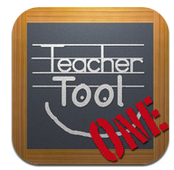 " TeacherKit is a personal organizer for the teacher. 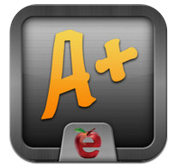 It enables the teacher to organize classes, and students. 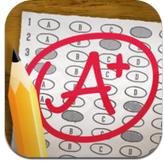 Its simple and intuitive interface enables teachers to track the attendance, grades and behavior of students...... "
" Groovy Grader is an App designed to replace your “old school” paper grading calculator. 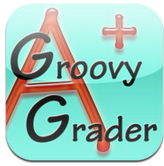 Groovy Grader provides more flexibility, convenience and ease then other popular slide graders...... "
" Easy Grade makes it easy to grade your students' papers when you leave the cardboard Easy Grader at school. 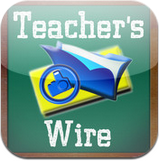 .......... "
" This is an application that allows teachers to visually document student learning and report back to parents via email! Designed by teachers, for teachers! " " Grade It! 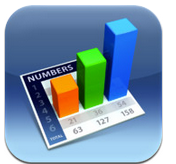 makes it easy to calculate percentages for any assessment. Grade It! 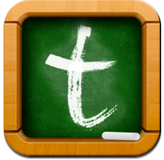 also allows teachers to email a copy of the assessment table............ "
" TeacherTool is a teacher‘s gradebook, calendar, notebook and course register in your pocket, always available, always complete, always up to date.......... "
" Numbers is the most innovative spreadsheet app ever designed for a mobile device. Built from the ground up for iPad, iPhone, and iPod touch, it lets you make compelling spreadsheets in minutes — with tables, charts, photos, and graphics — using just your fingers......... "